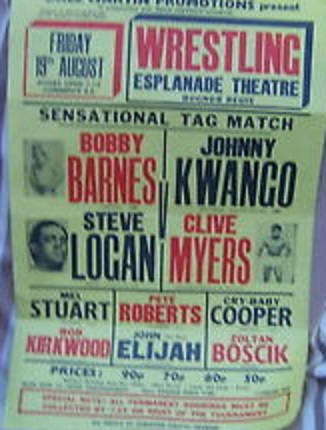 In 1970 Clive Myers made his debut in the world of professional wrestling having previously entered into the ranks of boxing and amateur wrestling. 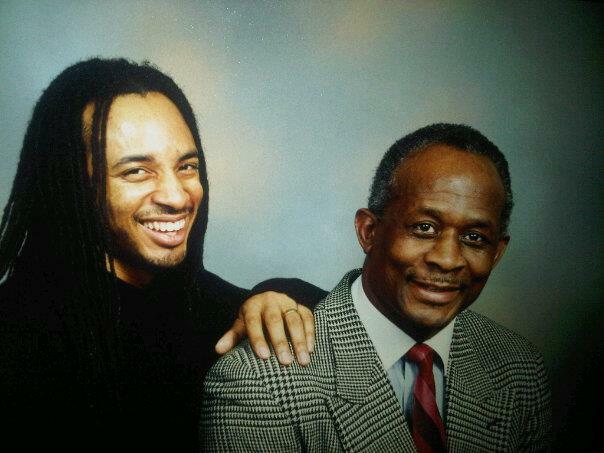 Clive, who hails from the West Indies had no gimmicks, he was purely one of the best technical wrestlers of his generation and knew how to entertain a crowd wrestling for the majority of his career as a welterweight. For a short period of his career Clive wrestled under a mask and was known as Iron Fist, a name that he continued to use right up until his retirement. However, despite donning the mask it was apparent to all that the 'masked man of mystery' was infact Clive Myers as he wore the same ring attire as he did when he wrestled under his own name. 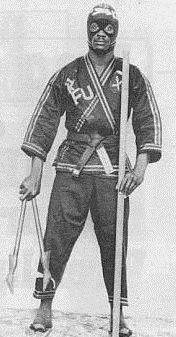 Clive became a worthy welterweight wrestler and had victories over many of the top stars of the day where he combined traditional wrestling with martial arts. Although Clive never won an title in the UK he was crowned Welterweight Champion of Jamaica but if he ever defended this title is somewhat clouded. 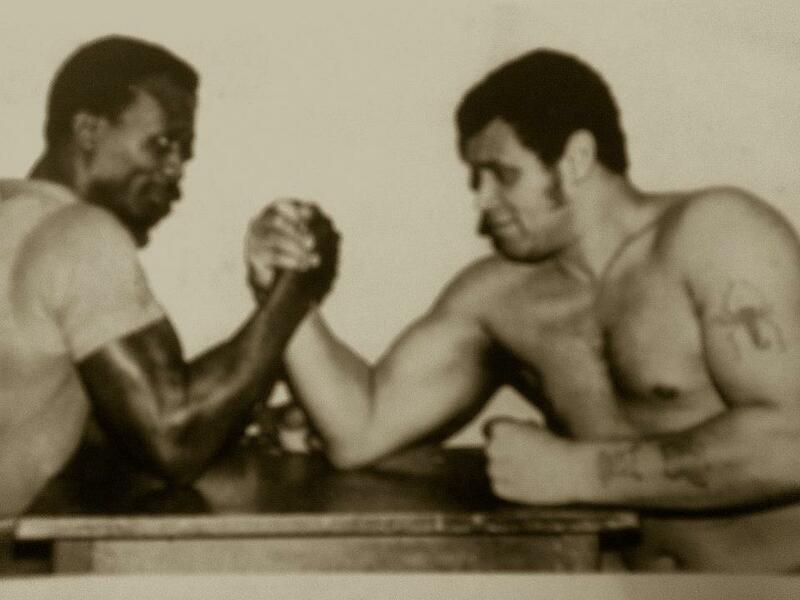 At the height of his fame in Britain Clive entered into the world of arm wrestling and won the World Arm wrestling Championship, Clive was a pioneer for this sport but unfortunately its popularity never reached the heights of his professional wrestling career. 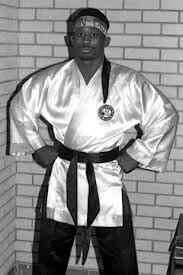 During the 1980s Clive formed successful tag teams with Eddie' Kung Fu' Hamill and Chris Adams, both of whom, like Clive, had martial arts backgrounds. Both teams were reasonably successful in their endeavours and recorded a number of victories. Although Clive took on many of the big stars of the day including the likes of Mick McManus and Mark 'Rollerball' Rocco, one of his most memorable matches came in 1987 when he took on the legendary Kendo Nagasaki in a televised match from the London Hippodrome. The bout was billed as a Disco Challenge Ladder Match and the aim was to retrieve a gold coloured dicso record which was suspended from the ceiling. This was one of the strangest matches ever seen in british wrestling at the time with music playing in the background whilst the wrestlers competed. Whilst enjoyed by some the match was ridiculed by others. Following on from this match Clive had another memorable match on ITV whereby he teamed with Dave Taylor against Kendo Nagasaki and Mark Rocco. This was a very entertaining match but will always be remembered for its ending when Nagasaki was unmasked by his own tag team partner. On retiring from the ring Clive has now returned to his native Jamaica where he remains fit and healthy and is enjoying his retirement. Although Clive does not have a great deal to do with the wrestling business any longer he continues to keep in contact with his fans and colleagues via social media.